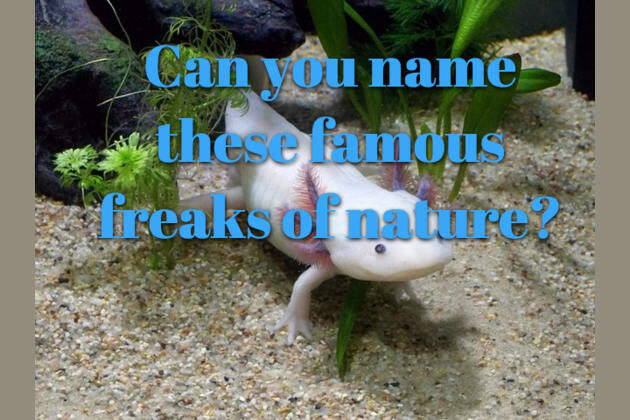 Can You Name These Famous Freaks Of Nature? This one is always in the same position..
Wow, you missed some, but just the hard ones. Still, you have a very good knowledge about the animal kingdom. We suggest you increase the time you spend in Wikipedia per week and you will have the highest score next time. Well done! You probably love your dog and care for them. Also, we can see that you know the breeds of all the dogs in the park, but we have to be honest when it comes to another species you are completely lost. We suggest that you don´t try to impress anybody with your knowledge about the animal kingdom anymore. We would encourage you to study but we really don´t see any hope here. Keep the good job with your dog!